The Karen National Union has issued a public statement today, September 13, objecting to and calling for an end to fighting in Mae Tha Wor between the the Democratic Karen Buddhist Army (DKBA) and the government’s military and its militias. The KNU’s statement said that the current military operation jointly carried out by the Burma Army and its militia, the Border Guard Force (BGF) in Mae Tha Wor areas is in the KNU’s border territory of Pa-an and Papun districts. The KNU said the conflict has confirmed that citizens are losing trust in the peace process that the KNU has been trying to workout with the government. 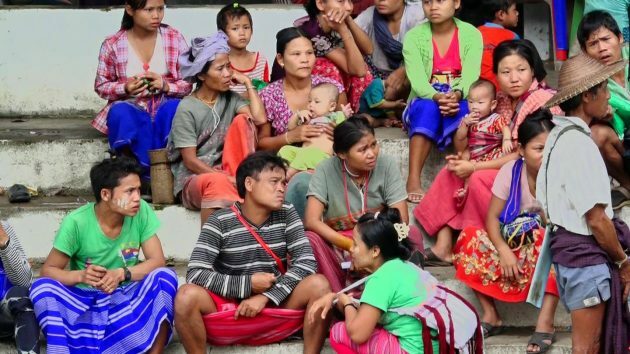 The KNU statement said that as a signatory to the Nationwide Ceasefire Agreement, they see the current military operation causing mass displacement of people. The KNU said that it will destroy the stability and peaceful environment in the areas. Padoh Thawthi Bwe, joint secretary of the KNU told Karen News that the purpose of putting out the statement is that to make it clear that the KNU don’t want to see armed conflicts in its areas. Padoh Thawthi Bwe said that the KNU don’t want the current conflicts to spill over to other areas and that urgent action needs to be be taken to stop this from happening. The KNU confirmed that they will not use force to solve the problem, if the conflict spreads, but will try to negotiate the issue through talks. The KNU statement reiterated that the KNU is committed to work for peace in Karen state and nationwide by closely working with the union government and its military. Fighting in the Mae Tha Wor areas of Hlaingbwe Township, Karen State intensify in early September after Burma Army and BGF militia increased reinforcements in the areas. More than 2,000 villagers were forced from their villages in the conflict areas and are seeking temporary safety in the Myaing Gyi Ngu special areas – more than 200 villagers close to the Thai border cross over to the Thai side seeking safety.